Yesterday, I scheduled a massage at Equinox in the Financial District. Jesse’s a member, and apart from his love of the Kiehl’s products and saline pool, he also loves his 6:30 am spin class on Tuesdays, taught by Danny Baker. Danny’s a fellow ironman, avid cyclist, and teaches a no frills class that mimics outdoor cycling without all of the dancing, handlebar pushups, and core holds that gives spin the fluffy workout reputation. Rather than focusing on an electropop playlist and leaving people mostly to their own devices while calling out sprints, climbs, and jumps, Danny speaks to his class the entire time about pushing yourself to improve both your workout and your life. 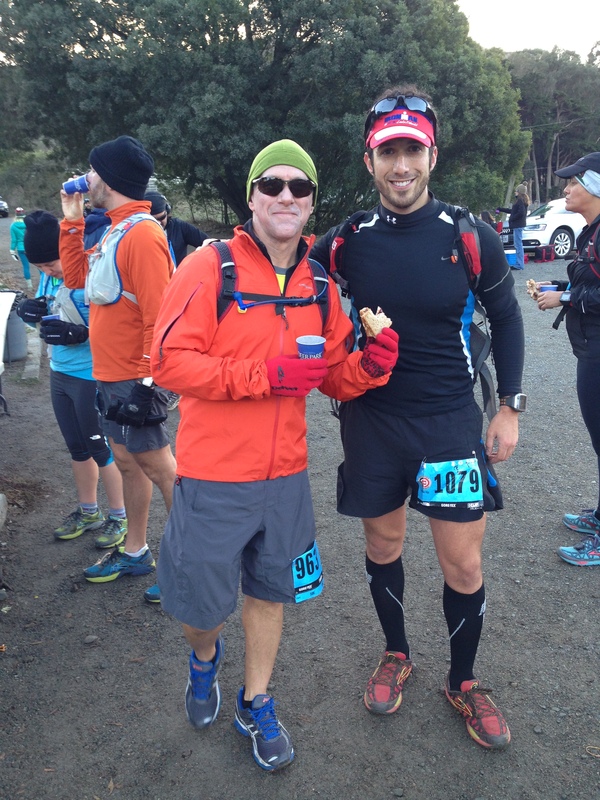 I first met Danny when Jesse and I ran into him at the start line of the North Face Endurance Challenge 50K. A cool perk of booking a massage or spa appointment at Equinox is that you can use the gym facilities on the day of your service. I took advantage of this by joining Jesse for Danny’s class yesterday morning. that Jesse and his “lady friend” ran a half marathon last weekend and how Jesse’s strength in spin class translates to his strength in running. While this is probably true, I found it hilarious that Jesse’s spin instructor appreciates him to the extent that he felt it necessary to point out his achievements for the entire class to admire. My boyfriend is well loved.